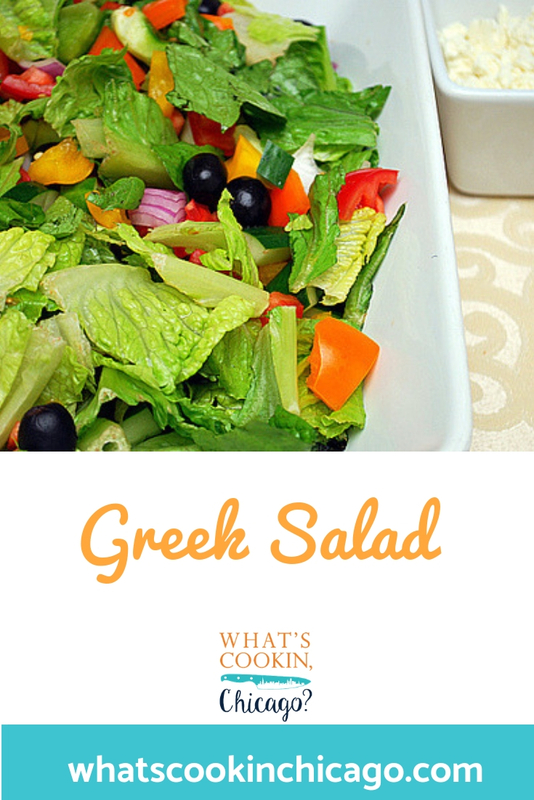 Greek Salad has this wonderful vinaigrette that really ties all the various vegetables in the salad together. 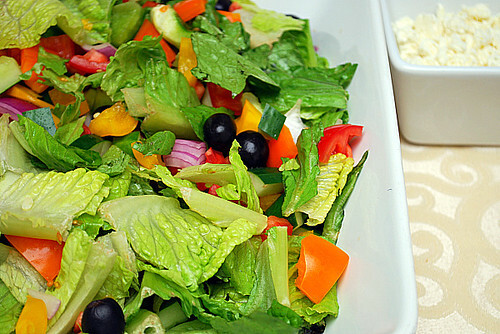 In my mind, the vinaigrette is the key player in this dish. A mixture of extra virgin olive oil, red wine vinegar, minced garlic and salt/pepper to taste is all there is to it. If you wanted, you could also add a splash of freshly squeezed lemon juice for additional tartness. The original recipe called for tossing everything together including the feta cheese, but I prefer to serve the cheese on the side or to top the salad just before eating. In a large bowl, whisk the oil with the vinegar and garlic; season with salt and pepper. Add the remaining ingredients and toss.